The whole system is very inexpensive, and the best part is he is mortgage free. 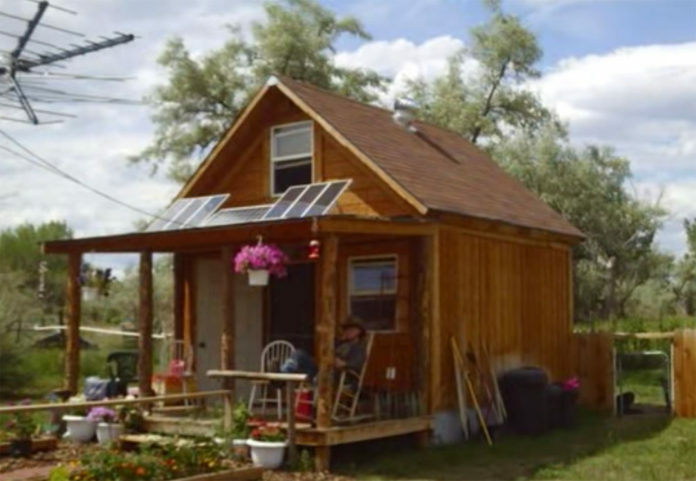 Very cool little cabin. I’d be proud to build something like this myself, and call it home. 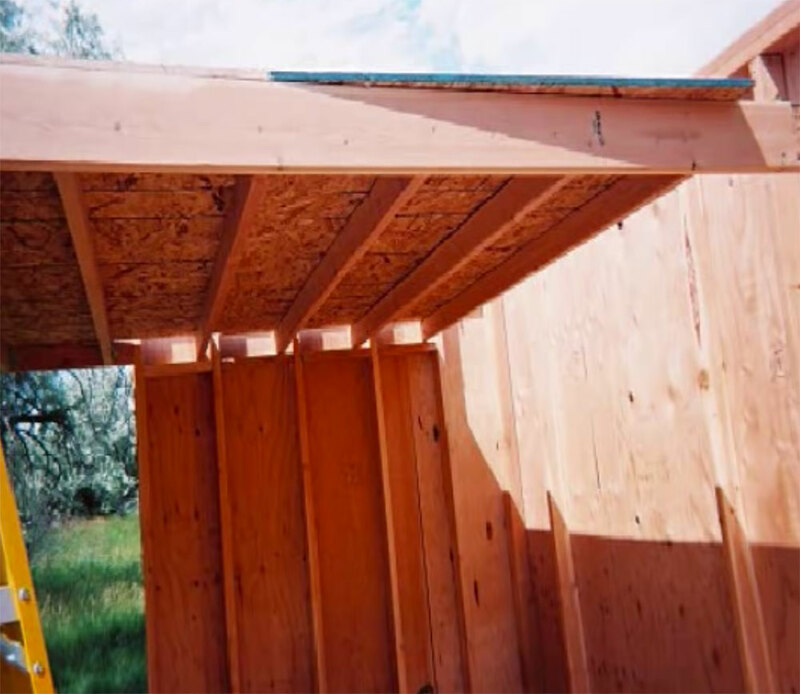 To build the 14 x 14 foot cabin, Lamar started with concrete deck piers at the corners and 2×6 and 2×8 floor joists. The corner posts are 10-foot 4x4s. 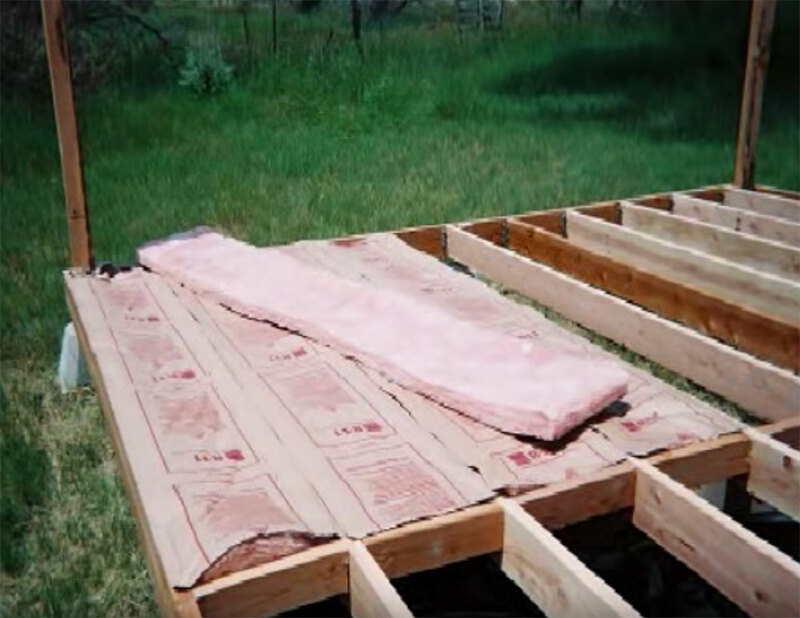 He insulated the floor to help keep the cabin warm in winter. 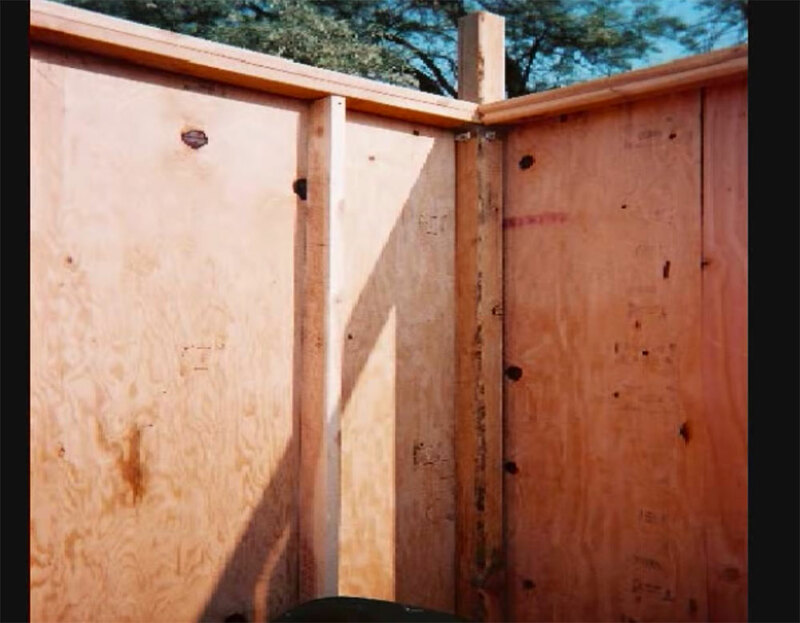 Lamar then built the walls using 2x4s placed 16 inches apart covered in wall sheeting. 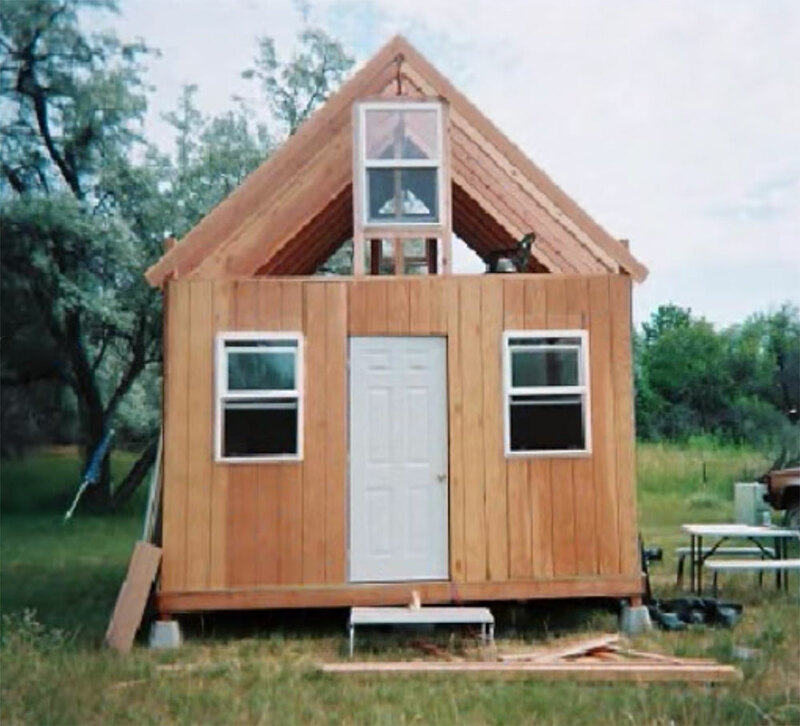 The cabin includes a loft built with 14-foot 2×6 boards. 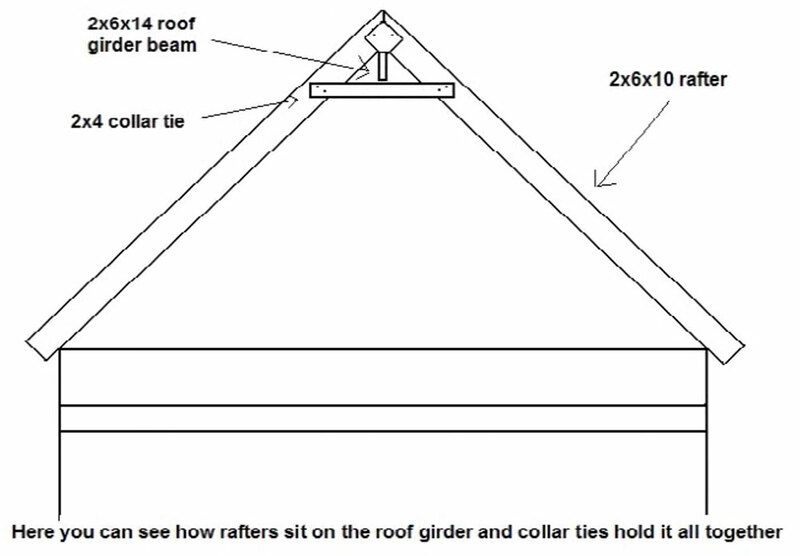 Here’s a sketch of how Lamar designed the roof rafters. The cabin with the roof rafters up and windows and doors installed. Once the roof was finished, it was sheeted in particle board and tar paper, then shingled. 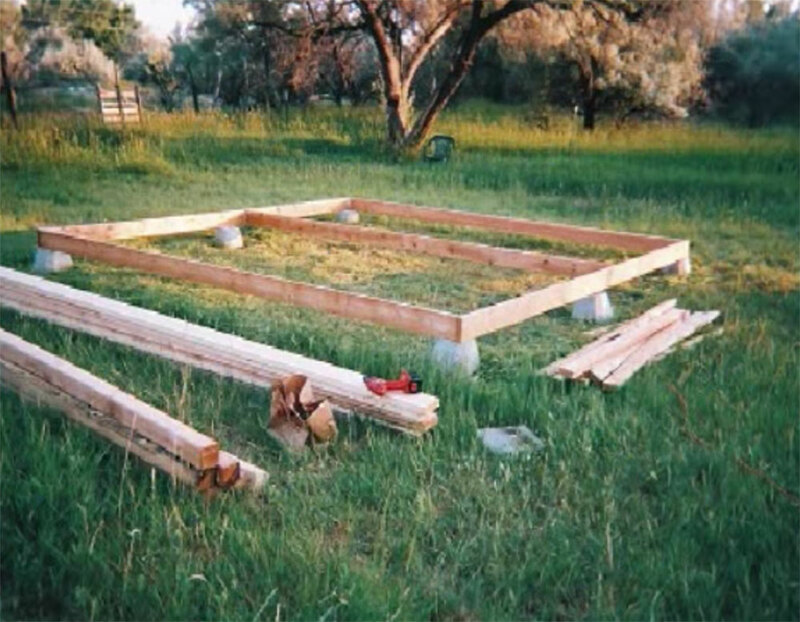 After the interior was finished, Lamar built a front porch with rough-cut lumber and installed a small solar panel setup. His materials came in at just under $2000, not including the door and windows. 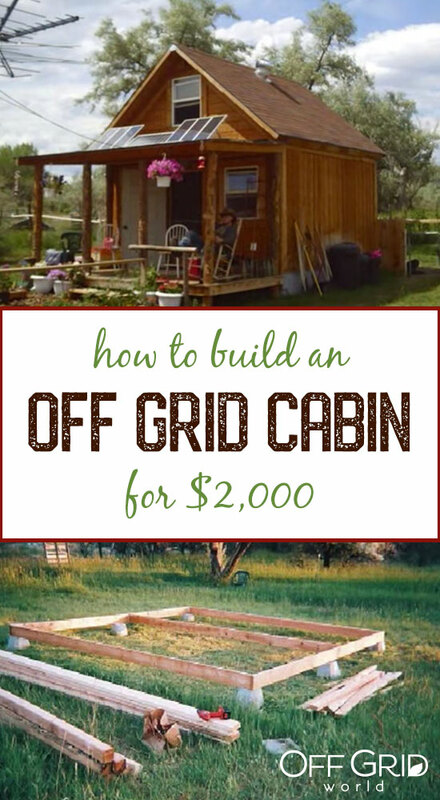 This is a great example of a small, sustainable cabin affordable enough for anyone!